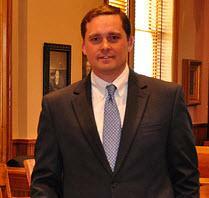 Brian began his law practice in Little Rock, Arkansas working primarily in insurance defense litigation. Seeking an opportunity to help individuals and businesses faced with many different legal issues, Brian decided to move back home to Northwest Arkansas and open Hogue Law Firm, PLLC with David. Although Brian devotes a large portion of his practice to divorce and other family law matters, he provides exceptional representation to clients in criminal defense matters in federal and state courts, personal injury matters, construction litigation and many other litigation matters. Brian also provides mediation services in civil and domestic relation cases.